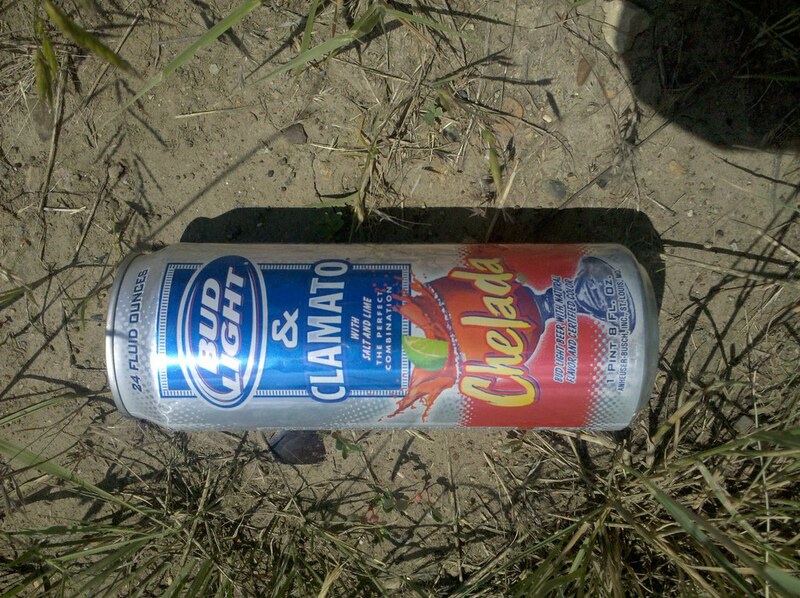 Must be a local beverage…Never seen this before…and we got the shore here in jersey….Beer and Clamato..with salt and lime for more adventure……ummmm only missing a shot of vodka. so this area is part dessert part grassland? Montana-ites can you help a easterner with this. Please. 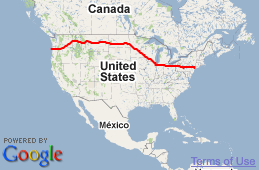 I believe if you go back to day 1 that this last leg (footprint) of Matt’s trek is at every day. How is you Sunday going? Hot here with little chance of rain. Keep cool! Looks like someone was havin’ a “red beer picnic”, as we call ’em. This is the high plains. The “desrt” parts are generally shallow to bedrock soils on the Hell Creek formation – lots of calcium and salts in this formation, so grasses can’t grow very well. The soils that are deeper to bedrock support grasses much better. I believe the area Matt’s in right now gets from 12 to 14 inches of rainfall in normal years – this year has been better than normal, though. Thank you Dan, much appreciate the response. Haha I don’t know why anyone would think this was a good idea! I had never seen this until on a trip to Florida earlier in the year. It’s always a good idea to follow your dream, Karen! According to this article the beer was intorduced to satisfy the Mexican influence in the states-probably more popular out West. I have not seen this in our area of the country. Can’t understand why it’s not popular? It contains all four food groups: grains, seafood/clams, fruit (remember tomatoes are not veggies) and alcohol (to some a primary food group). Plus it’s gotta be healthy with ‘certified color’. @ Dan: No wonder Clint Eastwood always had that ‘bad taste in my mouth’ kinda mean look all the time in “High Plains Drifter”. Guess what he was drinkin’ between puffs on his stoagie? I had heard that it was a real common combination out in the west. I guess Bud decided to do what people were already doing. Never was interested in trying it myself. It doesn’t taste very good at all. Agreed. Had to try one once just out of curiosity. One of the most ungodly things I’ve ever tasted. Nasty, nasty stuff. Vomit in a can. Mgd light – hold the Clamato please. Back in the 70’s in the Rochester NY area a draft beer with a “shot” of tomato juice was called a Red Eye. Red Eye was standard issue for people coming off the night shift and hitting the tavern/bar at 7 am on there way home to sleep. I guess it was the poor man’s Bloody Mary. Looks like a hangover cure. Was there any left in the can? My first thought is ugly litter. If you can pack it in you should pack it out! Cardinal rule for hiking, camping,fishing, hunting, boating, picnics, or beer drinking. I am not an environmental freak but I do think I should always leave an area in as good a shape if not better than it was when got there. This makes it so others can enjoy the REAL BEAUTY. Give me YUENGLING or give me BUD LIGHT & CLAMATO!!! Sorry this is my least favorite Picture and Post. I just want to Hurl. Toss cookies….what ever. I can’t believe they would want to mass produce this stuff….but I should try everything once….hmmmm not today. It’s fermented vommit collected from frat house toilets. Surprising it’s not more popular. I got to believe the demographic for this delight is under age 30. I’ll betcha you didn’t find THAT can in Arizona!! LoL. So this pre-mixed stuff is no good, but a true “red beer” is delicious! A little Clamato or bloody mary mix in a beer – yum. Everyone is right, though. It is a MT thing. I live in MN now and people don’t drink red beers out here. This sounds really good…one of my favorite drinks is a michelada, which is beer and hot sauce (along with ice, lime juice and salt)! OK I’ll be the odd ball here but honestly in Fresno CA it’s in every liquor store and everyone loves it. I’ve had it and it’s not as fabulous as a true red beer but still perfectly drinkable.